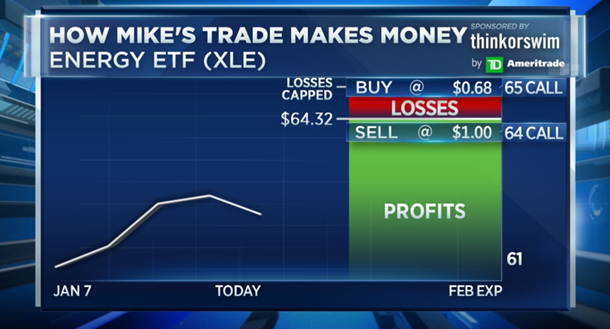 Carter Worth and Mike Khouw suggest a put spread in the Financials ETF for those looking to make a bearish bet. 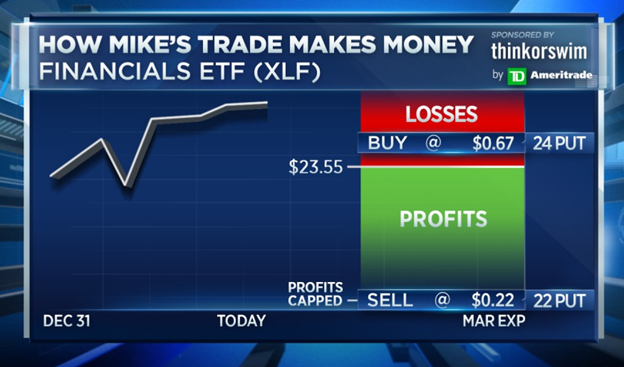 Mike Khouw also suggests a call spread in the Energy ETF. 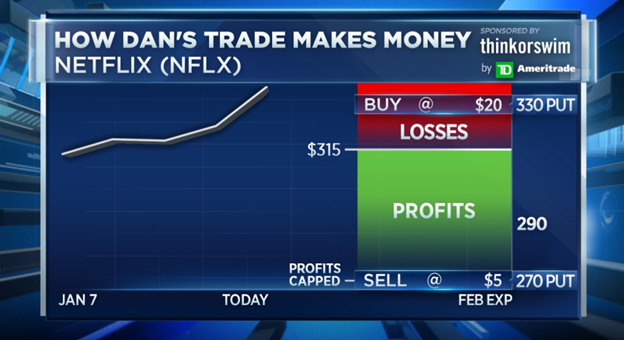 For those feeling bearish, Dan Nathan suggests a put spread in Netflix. Trader disclosure: Dan Nathan is long FB Jan / Feb call calendar. KO Feb put spread. XLU March Put Spread. PG Jan put spread. EA Feb call spread. Long INTC July Call Spread. SPY Feb put spread. IWM March put spread.